A unique series of autonomous operations trials were held on the North Sea on 19 and 20 March, about five nautical miles off the coast of Den Helder (NL). SeaZip 3, a Damen Fast Crew Supplier 2610 ‘Twin Axe’ (Bureau Veritas class, Netherlands flag), from SeaZip Offshore Services was outfitted with collision avoidance technology and took part in several nautical scenarios to determine how the vessel would interact with seagoing traffic. By testing the scenarios on the North Sea, the partners involved were able to show the decision-making process of an autonomous system in ensuring safe sailing and avoiding collisions with other vessels. The autonomous system provided by Robosys Automation, connected to the on-board autopilot and machinery control system, performed the evasive manoeuvres in a safe way. 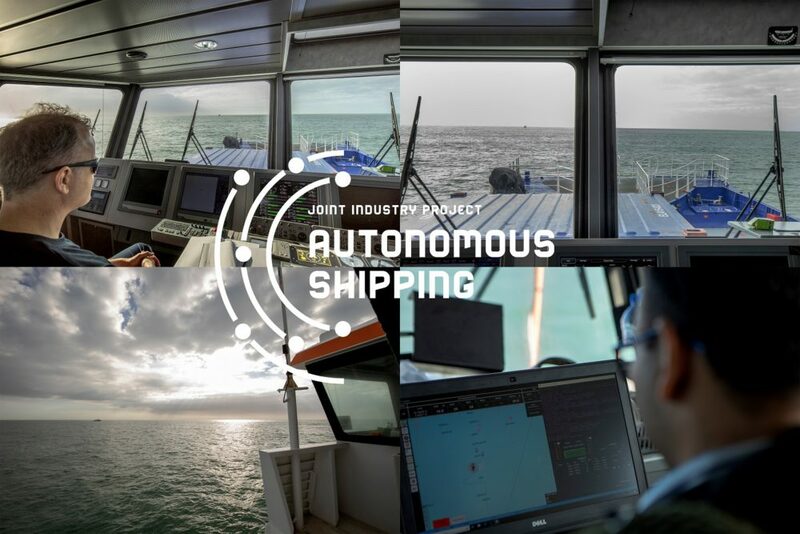 It was concluded that further development of autonomous systems is needed, to cope with complex marine traffic situations in a more efficient way. This Joint Industry Project is unique in the sense that it is supported by a broad consortium of stakeholders: shipping companies SeaZip Offshore Service, Fugro, and the Dutch Pilotage organisation, Damen Shipyards and Feadship, naval architects DEKC Maritime, technology suppliers Bosch Rexroth, Robosys Automation, knowledge institutions MARIN, TNO, Technical University of Delft, classification society Bureau Veritas, maritime academies Maritime Institute Willem Barentsz – NHL Stenden University of Applied Sciences, Rotterdam Mainport Institute (STC & Rotterdam University of Applied Sciences) and project coordinator Netherlands Maritime Technology. The Dutch government is represented by the Ministry of Infrastructure and Water Management and the Ministry of Defence (Defence Materiel Organisation). It is partly funded by the TKI-Maritiem allowance of the Dutch Ministry of Economic Affairs and Climate Policy.